This is a guest post from Leah Everly from Love and Blues where she supports first responders and their families. As a stay-at-home mom who's married to a man who works an admirable but low-paying career in law enforcement, I'm always looking for ways to bring in a little extra income. That can be a challenge without an extra car or access to childcare. 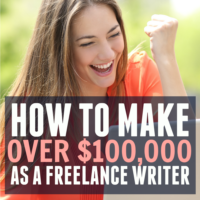 I started blogging after reading about it on this very blog, but as anyone can attest, it's not exactly a “get rich quick” scheme. Since I needed something to bridge the gap financially, I found myself perusing Craigslist's “gigs” section, where I found an ad requesting a maid for $15 per hour. I replied and got the job. I wasn't sure what to expect, but it's turned into a great arrangement! 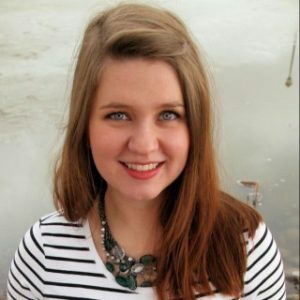 Once every other week, I clean for 4 hours and make $60.The 4 hours is pretty easy to organize around my husband's schedule so that he's home with the little one, and, surprisingly enough, the four hours I spend cleaning almost feels luxurious because I have a small break from being a mom. The 4 hours is pretty easy to organize around my husband's schedule so that he's home with the little one, and, surprisingly enough, the four hours I spend cleaning almost feels luxurious because I have a small break from being a mom. A few weeks into this cleaning job, I was talking to a friend of mine. She's in the process of starting a small business. She mentioned she was struggling to find the time to clean, but also that she isn't making enough money yet to afford someone to clean her house for her. It got me thinking. I had wanted to add more cleaning clients, but the cost and accessibility of childcare was a big barrier. I had an idea: I told her that if she would watch my son on a day she would be caring for her daughter anyway, I would clean for her for half the price others had quoted her. It's worked out well. 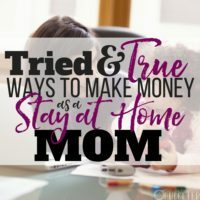 I'm able to make a little extra money without worrying about my husband's schedule, and she's able to get a service she needs for the price she can afford right now. My third cleaning job is one that may not apply to many readers, but it could be an option for some of you! We currently live in a basement apartment. I clean twice a month for our landlords who live in the main house upstairs. It's great! This job only takes two hours, so I can clean during my son's nap. If he wakes up while I'm cleaning, I can hear him, and because our landlords have kids of their own, he can come up and play while I finish up. Work top to bottom and left to right. Or right to left, if that works better for you. Whatever you do, be consistent! You don't want to be wasting time wondering what you've already cleaned. Dust all surfaces: Dust everywhere, including the tops of doors, fan blades, light fixtures, pictures, and any knick-knacks. I use a Swiffer duster with disposable pads for this, but you can use a spray like Pledge and a rag if you prefer. Use glass cleaner for framed pictures, windows, and TV/computer screens. Vacuum: Vacuum all carpeted areas, moving furniture as you go, and use the hose attachment for corners. Sweep: Sweep all the loose dirt, then mop starting at the farthest corner of the room and working toward the door. Rinse the mop after each 3-4 foot square area. Kitchen: Clean drip pans and knobs of the oven. Wipe down all counter tops, the fronts of cabinets and appliances, and the stove top. Clean the inside of the microwave (the best way is to microwave a glass of water for 2-3 minutes, then clean it with all purpose cleaner and a paper towel. No scrubbing!) Clean the sink inside and out. Sweep and mop the floor. Bathrooms: Clean the shower walls, racks, soap dishes, and the track of the shower if there is one. Clean mirrors and faucets with window cleaner. Clean vanity/toilet with all-purpose cleaner. Sweep and mop the floor. Bedrooms: Make sure the vacuuming/dusting is complete in each bedroom, then replace sheets and duvet cover and make the bed. Bonus points if you leave chocolate. When possible, use supplies provided by clients. To maximize your profits, you'll need to be sure you're cutting your own costs whenever possible. Not to the point of gouging others, of course, but within reason. Because you're saving people the time and hassle of cleaning, they may be open to you using their supplies. Clients may also have a preference for certain supplies, like all-natural or biodegradeable. If this is the case, definitely have them purchase their own, or they'll eat into your profits too much. When you purchase your own supplies, go with generic products. My only exception is paper towels. When I buy generic paper towels, I find I have to use more of them, so it doesn't actually save me money. If you go disposable paper free and use rags instead to save even more money, kudos to you! Have extra time when cleaning? Go the extra mile. At one cleaning job in particular, I've gotten very efficient at knowing what needs to be done and the time I have to do it. Because of this, I usually have an extra 30 minutes at the end. I use that time to clean something unusual, like the baseboards, toothbrush holders, or toilet brush holders. The client is paying me for a particular amount of time, so I make sure to spend that entire time cleaning. Cleaning for long periods of time can be really tiring. Cleaning for a client is different to me in terms of exhaustion than cleaning my own house, because I can take as long as I'd like with my own house; with theirs, I have a limited amount of time to finish.Trying to work at a more frantic pace sometimes wears me out, and dehydration really inhibits my productivity. It's really important to my productivity that I eat a good meal before a job. If I don't fuel my body correctly, I get fatigued more quickly. My usual meal is oatmeal or a protein shake. It's also not a bad idea to bring along a small snack, like a banana or a granola bar, to help keep you going. Additionally, be sure to stay hydrated. Either bring a bottle of water with you, or use a cup at your client's house that you clean when you're done. Dehydration will impact your productivity just as much, if not more than, hunger will. The opportunities I've found to clean for others have been a great way to bring in extra money for our family. 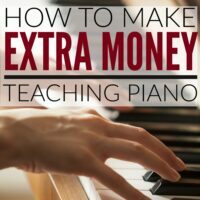 I make about $200 per month by doing this, which helps build our savings and cover unexpected expenses. I actually charge on the low end for cleaning, so there's definitely an opportunity to earn more than I do. If you don't mind cleaning, it's a great, flexible side job. How much does a house cleaning cost around you? Fantastic ideas for those people looking for a little extra spending money at the end of the month! 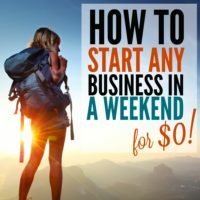 If that small business went big maybe you should start doing it every day and be the source of your income. You just need to have some staff to build your company. FMF Cleaning Services is like you, it was just started a small business and now, one of the biggest cleaning company in Dubai. Awesome blog! This is such a good idea 🙂 Thanks for sharing it’s very helpful. I love this step by step schedule… my only question is do you take more time for the initial cleaning. I just did a woman’s 2 bathrooms and it took me 3 hours! I scrubbed the showers top to bottom, one glass door, one tub, the toilets ALL around back and underneath , 3 sinks , mirrors, light fixtures, cabinets (kids) and floors. I wanted it clean like my own, but Im thinking I am not getting as much done as I should. Thanks for sharing such relevant information about cleaning business. 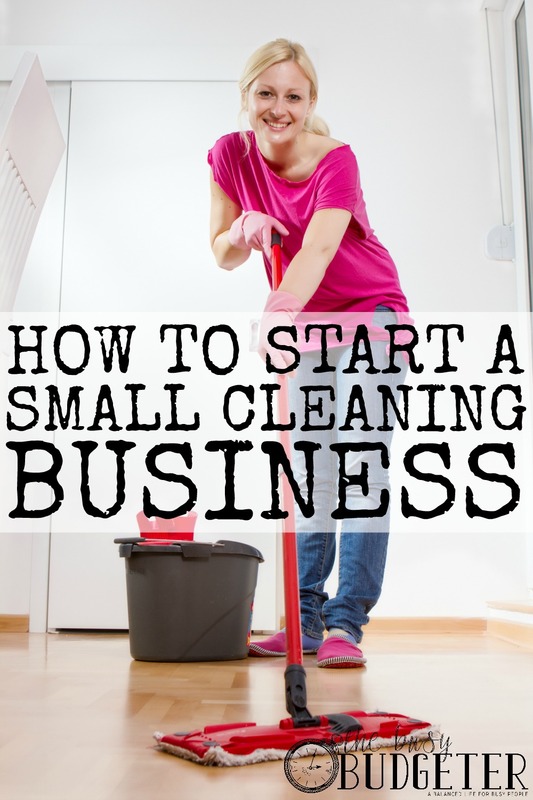 It’s great to hear how someone started their own cleaning business. THanks for sharing! It is one of the best businesses because every other business needs there services to clean their office and mostly they hire external services for major cleaning or total renovation. To be honest, cleaning is a good and profitable business if you done it in a right way. However it’s also time taking business. I recently started it Dubai. If you’re gonna start I will suggest you focus on monthly contract or job done based leads instead of per hour.